Michael has over 21 years of international lecturing experience, at both professional and academic levels. He joined BPP Ireland in 2003 after returning from a seven year project in South-East Asia. Michael become a welcome addition to the professional team at AccountancySchool.ie in January 2013. 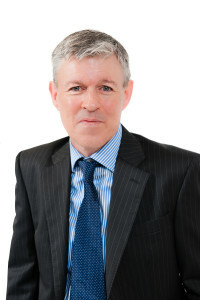 Michael brings a wealth of experience to classroom delivery producing exceptional pass rates and world prize winners. As both a Chartered Management Accountant and Treasurer, Michael specialises in Advanced Financial Management and Management Accounting across a range of professional programmes. Michael is a former World Prize-Winner with experience in both Airline and Software Engineering Sectors. He has been a member of many Professional and Academic Boards with various institutions and designed Professional Development programmes for finance staff of listed companies in both Asia and Europe.